~ You can do this! Day 16 of the NO EXCUSES 3-Week Author Blog Challenge: How do you approach book marketing on social media? A mistake many authors make is to see social media as a sales tool. Social media is a tool for connecting to others with shared interests and values. What kinds of connections are you making? With whom are you connecting? How well do you know your audience so that you can find them on the various platforms? Each day, we have a prompt upon which the authors may base their posts – or they may opt to write on the topics of their choice. The first word in social media is SOCIAL. 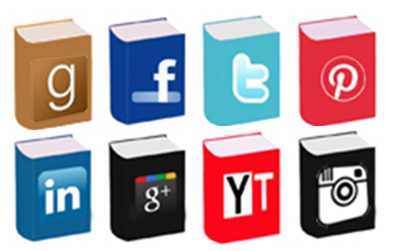 How are you using social media to promote your book, without coming across too salesy/pushy? What aspect of social media would you like to learn more about? What are your next steps? AUTHORS – use the link below to add your November 12th post to our list! READERS, be sure to check out our PARTICIPANTS page to see the list of bloggers who are taking part in the challenge, and READ THEM! Then, if you like what you read, be sure to share the posts on your social media networks so our bloggers get the best exposure possible. If you’re just learning about the Challenge for the very first time, don’t let the late hour deter you from joining! 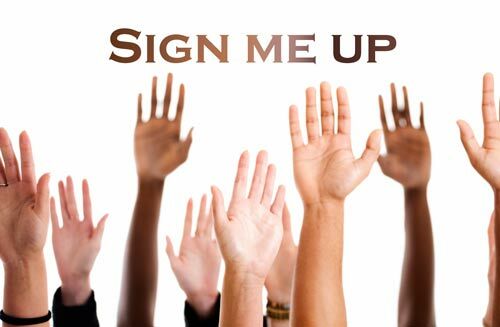 Fill out the REGISTRATION FORM, read the Guidelines, and begin blogging away! You’ll qualify for the contest to win a $35 gift card to the bookstore of your choice IF you back-post for all the days you’ve missed so far AND add your name to the MisterLinky for each date. Details will be sent via email upon your registration. We’ll check in daily for a recap of the prior day’s best blog entries. Day 28 of the Author Blog Challenge: Social media, anyone? The first word in “social media” is social. The prompt for Day 28 asks our authors how they’re using the valuable tool of social media to promote their books This contest is the opportunity for our author participants to challenge themselves to post on their blogs for the 35 days in a row. Thanks so much to all who are READING our blog posts! Each day, we have a prompt upon which the authors may base their blogs – or they may opt to write on the topics of their choice. How are you using social media to promote your book? What aspect of social media would you like to learn more about? What are your next steps? AUTHORS – use the link below to add your October 10th post to our list! If you’re just learning about the Challenge for the very first time, don’t let the late hour deter you from joining! Fill out the REGISTRATION FORM, read the Guidelines, and begin blogging away! You’ll qualify for the contest to win a $50 gift card to the bookstore of your choice IF you back-post for all the days you’ve missed so far AND add your name to the MisterLinky for each date. Details will be sent via email upon your registration. We’ll check in nightly for a recap of the day’s best blog entries. To getting the best feedback possible! Social media. It’s everywhere, all the rage, and something we may think we’ve just tired of hearing about. However, there’s no going back to the pre-social media world, so you’re either in it, or you’re getting left behind. The prompt on this topic produced some really great posts from the Author Blog Challenge participants. Read on for excerpts from explaining how the participants are using social media to promote and market their books, as well as posts on a few other interesting subjects, also! Please click on the author’s name to read the full post. MERLENE FAWDRY. My next book (when and if it is finished and never mind the buts) would involve a planned social media launch with all guns blazing to the furthest reaches, from an initial physical introduction of the book. Rather than learn amore about any particular aspect of social media, I would benefit more from building on what I do know – most of the time I feel as if I’m dancing around the edges of it, never fully understanding (therefore never fully reaping the benefits) the many dimensions of opportunity that exists. LEEANNE HUNT. As to what I can do going forward, now that I am familiar with the basics of Twitter and Facebook, I can investigate lists. I know that it is possible to divide up your connections into close friends, writerly contacts and so forth, but I haven’t yet learnt how. To be honest, I am having some doubts about the rightness of this course of action. Personally, I don’t like the thought that I have been tucked away into somebody’s book promotion list so that they never read my tweets or visit my blog links, and because of that, I find it hard to designate anyone else to my book promotion list and do the same. HEATHER TOPHAM WOOD. By the way, if you’re on the fence about doing a virtual book tour, I highly recommend it. It has helped expand my audience and receive more reviews on my novel. Tour hosts post reviews on Amazon and Goodreads which is helpful for new books or novels that do not have many reviews. Compared to other promotions, the price was very reasonable. Congrats on the blog tour you’ve arranged, Heather! What an awesome opportunity you’ve created to promote your book. LISA CHERRY. I love Social Media. I am currently acquainted with Facebook, twitter, Pinterest, LinkedIn, Good reads, Stumbleupon, blogging, YouTube; I love it all. I am a social being. I love connecting with people and the more diverse that group of people is, the better. Social media gives me connections with people all over the world. You can all tell me all about your life, passions, dreams, hopes, wants and desires and I can tell you all about mine. My book was built using it and I suspect much of the selling of it will be done in the same vein. I use it for social reasons and have used it for all 3 of the businesses that I have run (all very different ones). JUDITH CASSIS. [H]ere’s my beef: Groups. Groups used to be more administrable (I like administratable better, but it’s not a word) by the originator. So, as admin, we had complete control over the flow, content and various other aspects of our groups. We could actually ADMINISTRATE them! Now they seem to be a virtual a free-for-all. REBECCA FYFE. None of my books are at the publishing stage yet. While I am writing them, I am using social media and learing everything I can about promotion. I started out with social media promoting my on-line stores many years ago, and so I believe I have a step up from an author who is just starting out with it right now. I’ve already learned about having an on-line presence, using Facebook, Twitter, StumbleUpon, Triberr and various other social media outlets. Shout out to my main dogs, Cooper and Dusty, for the Guest Blogger opportunity. Shout out to my mom, Cindy Cavoto, of Fire Brand Social Media, for letting me have canine contacts even though I could do without them. Shout out to me for having the ability to type and therefore have no need to have someone take dictation like a couple of canines I know. KATHI LAUGHMAN. One of the topics that continues to come up in just about every business forum discussion is the impact of social media on the market. Companies that are engaging and leveraging it are winning. The companies that are still sitting on the sidelines are missing out. Here’s a newsflash: If you keep doing what you’ve always done in your marketing, you will not keep getting what you’ve always gotten. You are going to get less. That’s a significant shift. We think that if something works – we should just keep doing it because it works. Social media has changed that. JEN CHATFIELD. Oh boy. I’ve gotten so much advice over the past few years, all from online buddies/colleagues, mind you. Honestly I don’t even know where to begin. Maybe it’s about having thick skin. Though I do have thick skin, I have a tendency to fly off the handle without thinking things through. I think one of the best pieces of life advice I’ve ever gotten is when something upsets you, sleep on it, and go fresh in the morning. Never react right off the bat. 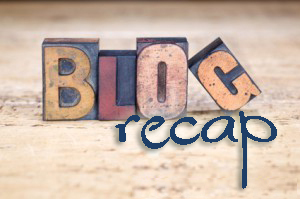 The Author Blog Challenge is hosted by Laura Orsini and her alter ego, Marcie Brock, of the Marcie Brock – Book Marketing Maven blog. Please visit Marcie’s blog for loads of great info about low- to no-cost methods of marketing for self-publishing authors. 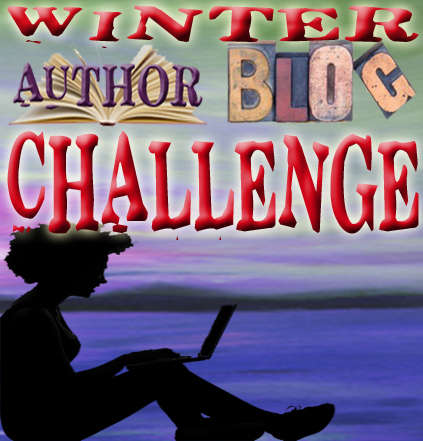 Ta-ta-ta-dah … Announcing the WINTER Author Blog Challenge! Well, since we’re at the halfway mark of the Author Blog Challenge, I thought “What better time to announce the NEXT blog challenge? !” Those who have asked (and/or been paying attention) have already heard me mention our plans for the WINTER Author Blog Challenge. In thinking about when to launch the next Author Blog Challenge, semi-annual seemed a good round way to do things … until I realized that six months from now are Hanukkah, Christmas, and the general holiday rush. Intrepid blog host that I am, I have decided to persevere with my semi-annual schedule, but I will alter the Winter Author Blog Challenge to make it reasonable. To that end, it will be a VERY SHORT 14-day challenge (Dec 1-14)! Yes, I know for you Ozzies, December is summertime – but since your host lives in the U.S. in sunny Arizona (where it occasionally dips below 40 in the winter), we’re going to stick with the name Winter Author Blog Challenge. Since I anticipate (and hope) that many of the current Author Blog Challenge participants will also join us for the Winter Challenge, I will change up the topics for the writing prompts in order to give you something new to focus on. Our theme will be social media, and each prompt will focus on a different platform. That gives you 6 MONTHS to get your social media savvy on and be ready to share your best practices with the rest of the group. It also gives all you readers out there who aren’t participating yet a chance to jump in and join the conversation! Please let us know if you have any questions or suggestions. We love to grow with you. CORRECT MiSTeR LiNKy for Last Day’s Posts!! Day 18 of the NO EXCUSES 3-Week Author Blog Challenge: Who’s your perfect marketing partner? Where we are in the world!